﻿ Binary Options Or Blackjack - Is Binary Options Trading Gambling or Not? If it were easy to make a profit trading binary options, everyone would do it. Indeed, there is nothing as enticing as a sure thing. Of course, the notion that every trader can profit on each of his or her trades is a mathematical impossibility. And therein lies one similarity between binary options and gambling: for any given trade, at least one party wins and at least one party loses. Having said that, it’s important to draw a distinction between the two activities. Much has been written about binary options betting being misrepresented as a form of investment. Critics liken it to gambling, implying it’s similar to buying a lottery ticket. Fans describe it as similar to investing in stocks. The truth is, both sides are wrong. There are more compelling similarities to make between trading binary options and blackjack, a game in which players can shift the odds in their favor. Gambling is loosely defined as putting something of value at risk on an event for which the outcome is undecided in the hopes of winning something of greater value. For example, you might wager $100 on a spin of the roulette wheel for the chance to win $200. The outcome of the spin, and thus your wager, is uncertain. 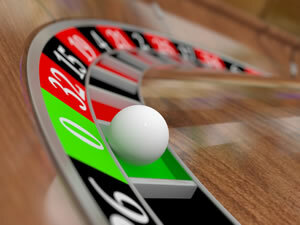 With casino gambling, nearly every game – whether roulette, craps, or pai gow – gives the house an edge. This is the advantage the house has over the player. It represents the percentage profit the casino will make on the player over the long run. The longer you play, the closer your losses will approach the edge (hence the phrase “the house always wins”). The odds are always in the houses favor. One of the only exceptions to this rule is blackjack, the game most similar to trading binary options. A skilled blackjack player can reduce the house edge to nearly zero. But a skilled player who counts cards can actually move the odds to his favor, essentially giving him a consistent edge over the house. In the next section, we’ll explain how binary options and blackjack are similar. Counting cards in blackjack is basically a method for gaining information. Keeping track of the cards that have been dealt allows the player to make better informed decisions. This is comparable to most forms of investing. The investor who possesses the best information has a greater likelihood of making a profit. So too with binary options trading does information play an important role in whether an instrument expires in the money or out of the money. For example, suppose you’re considering a simple up-down contract with gold as the underlying asset. You strongly suspect the Federal Reserve is about to announce a new round of “quantitative easing,” a monetary policy to expand the money supply. Unlike many other traders involved with binary options, you realize the money supply and the price of gold are directly correlated. Expand the former and the latter generally rises. Notice with this example that you’re using information to your advantage, similar to the card counter in blackjack. And just as the card counter can shift the odds into his favor, so too can you improve the likelihood that the binary options you execute will expire in the money. With any form of investing, the goal is to reduce your risk while maximizing your potential return. The same is true when you trade binary options. If you execute trades without knowing what you’re doing or understanding how the underlying assets react to various forces, you are essentially gambling. It is no different than betting on red in roulette. However, if you analyze the asset in question, and track important criteria (or invest in a binary options trading signals service), it becomes possible to make a consistent profit. Not all of your trades will expire in the money. In fact, depending on your trading strategy, a majority may expire out of the money. But information can help minimize the risk and increase the likelihood of an overall profit. 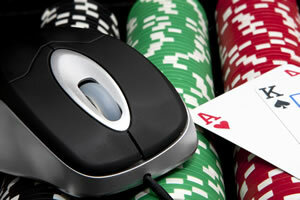 Binary Options Or Blackjack: Which Is A Better Bet? First, blackjack is a game. The events that occur during the course of a shoe do not affect the events that occur during the next shoe. You are essentially forced to start over with your information-gathering efforts. When you trade binary options, each trade’s outcome provides more insight into the behavior of the underlying asset. That information can then be used to increase your chances of executing in the money trades down the road. Second, playing blackjack usually requires visiting a land-based casino or local game. While there are many online gambling sites that offer blackjack, few remain open to U.S. players. By contrast, a majority of binary options brokers will happily accept your trades if you live in the U.S [source]. Third, when you play blackjack, you don’t truly know how much money you stand to win or lose on a given hand. You might start by placing $50 on your initial cards, but decide to split eights or double down on 11. Your $50 can suddenly place $200 or more at risk. With binary options trading, your potential gain is predetermined. Moreover, your potential loss is limited to the initial amount you invest. It’s also worth noting that many binary options brokers give traders a rebate on trades that expire out of the money. Is Binary Options Betting Actually Gambling? To be sure, trading binary options comes with risk – in fact, a substantial amount of it. It is, by its nature, speculative, which is the reason the potential returns are so high. But it is unlike common forms of gambling, where information gathered beforehand serves little use. Even the game to which binary options betting is most similar (blackjack) poses disadvantages by comparison. You can earn or lose a lot of money with binary trading. While it is not illegal to trade binary options, it depends on how you define gambling as to whether or not you would consider binary options gambling or not. Legally and technically they are not the same thing. You can earn or lose money trading forex, investing in stocks, or even just sitting on your cash via inflation. The best way to approach binary options (your best bet, so to speak) is to treat them as a speculative form of investment that is accompanied by a high degree of risk and return. Then, learn as much about the underlying assets as possible to shift the odds in your favor. Find a reputable broker and give it a try. 100,000’s of others have already done so.